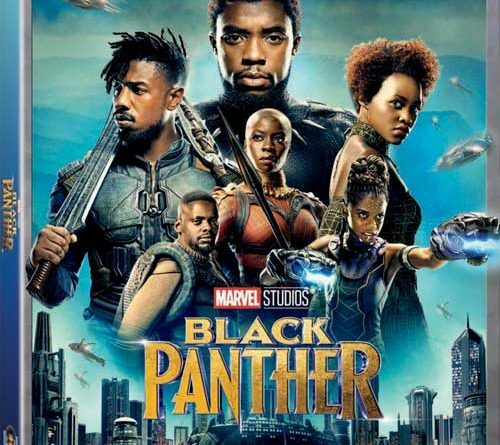 This installment of the Marvel Cinematic Universe takes you to Wakanda and shares the story of Prince T’Challa’s (The Black Panther’s) ascension to the throne and struggles he faced after the tragic death of his father forced him into the leadership role. For more on the movie, here is Maggie’s Review from the theatrical release. Commentary – A full length director’s commentary as well as a brief introduction from the director are included. Ryan Coogler, the director and co-writer as well as production designer Hannah Beachler provide the commentary. They share some memories from making the film, points out some of the details and reasons behind some of them. As well as some insights into the decisions that were made. Roundtable discussion – Entitled from Page to Screen this round table features some of the creators of the comic book as well as the filmmakers and discusses some of the historical context of the character and the journey from concept to the comics to the big screen and the unique opportunities this type of film and character had as well as unique struggles. It is not a making of but more a discussion of the film/characters place in history. Featurettes – There were four featurettes clocking in at around 6 minutes a piece. These take a look at different aspects of the film/characters but are more of a traditional featurette vs an in depth making of. Deleted Scenes – There are four deleted scenes included in this release. I would have liked to have seen an introduction and some explanation / context about the scene and decision not to include it in the final film. Gag Reel – A couple minute piece showing a series of clips. As with most gag reels there are hits and misses. Unfortunately I saw more misses in this one. Come to Wakanda Commercials – Two “commercials” for Wakanda tourism. One after and one before showing how the country can be sold to visitors. I thought it was an interesting contrast and a fun extra. Sneak Peek at Ant-Man and the Wasp – A 2.5 minute preview of the upcoming Marvel release featuring a couple clips, interviews and behind the scenes footage. I felt this was edited a little too tightly and too short. Marvel Studios: The First Ten Years – Connecting the Universe – Clocking in at over 8 minutes this piece takes a look at the first decade of Marvel films that wrapping up this year. You are taken back to the beginning and some of the connections are explored and explained. With everything leading to Avengers: Infinity War. I enjoyed this piece and the time flew by with me wanting more. The Digital Release has a couple extra features.. one on the chase sequence in Korea and another entitled the Cast’s Must Haves. I thought the chase featurette had a lot of potential but was edited down to a sub two minute piece that fell short of expectations. For an initial release I thought the bonus features included were average. Looking back on them they felt ok but no “home runs” to me. I think the documentary style of recent Star Wars release has set a high bar for what bonus material can be and this falls short of that. 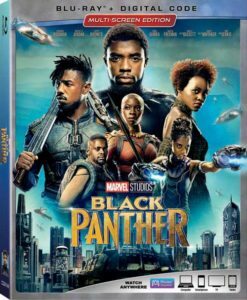 If you enjoyed the Black Panther in theaters this release will make a good addition to your Marvel library. If you would like to learn more about Wakanda, the historical context of the Black Panther, and a little more about the film you will find the bonus materials interesting. If you are one of the few that missed the film in theaters, you can still go catch it on the big screen or you can purchase it for home to see what everyone is talking about.